To. 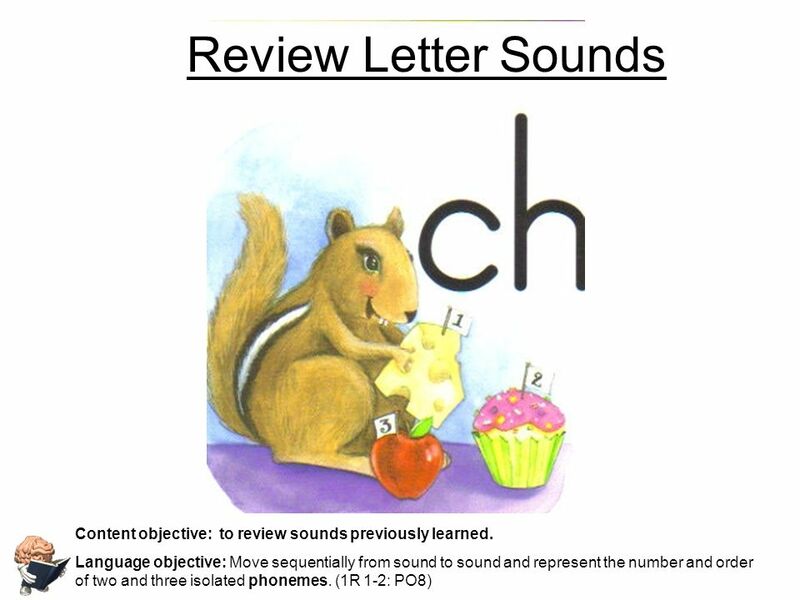 Today in Phonics we will… review some sounds we already know. stretch and read. change sounds in words to make new words. hear, say, read and write. 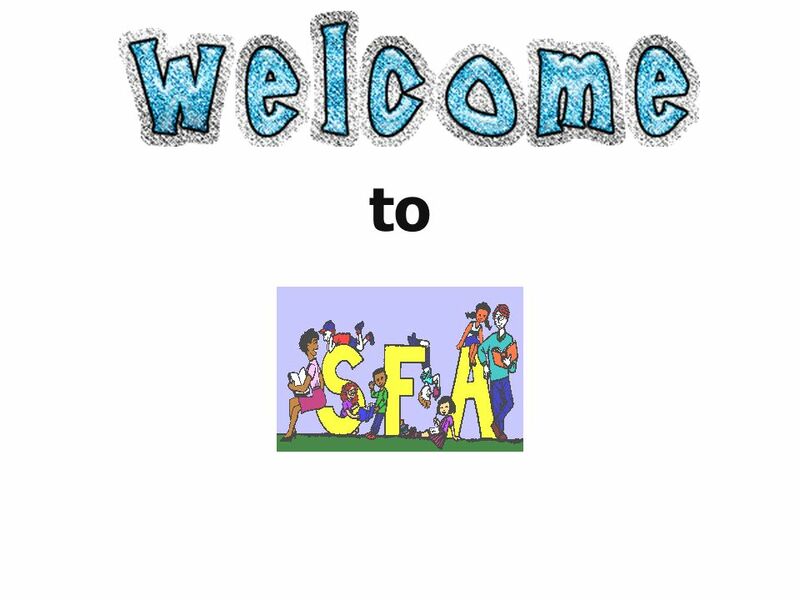 2 Today in Phonics we will… review some sounds we already know. stretch and read. change sounds in words to make new words. hear, say, read and write -ing. 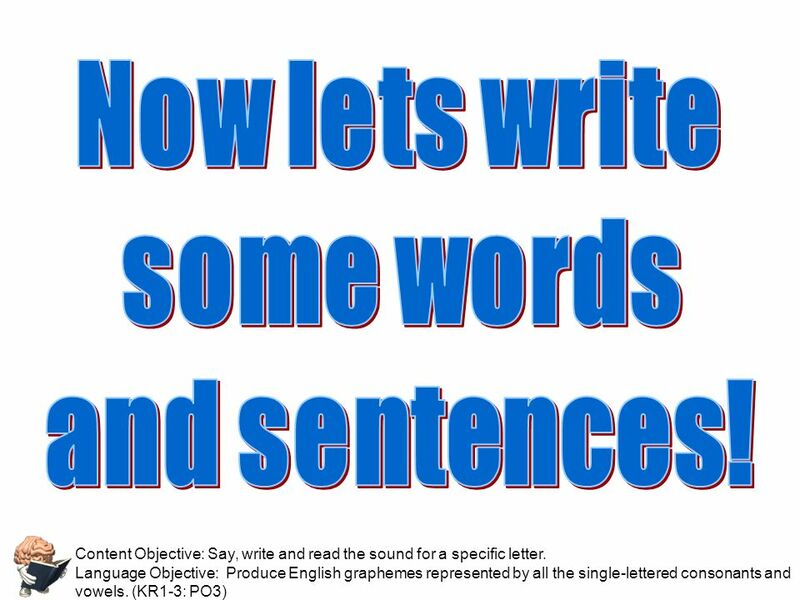 Content objective: to listen attentively and respond appropriately to oral communications. Language objective: Respond appropriately to most social interactions, including introducing self, asking about another person, and answering questions about personal information, using key words, phrases, and some simple sentences. 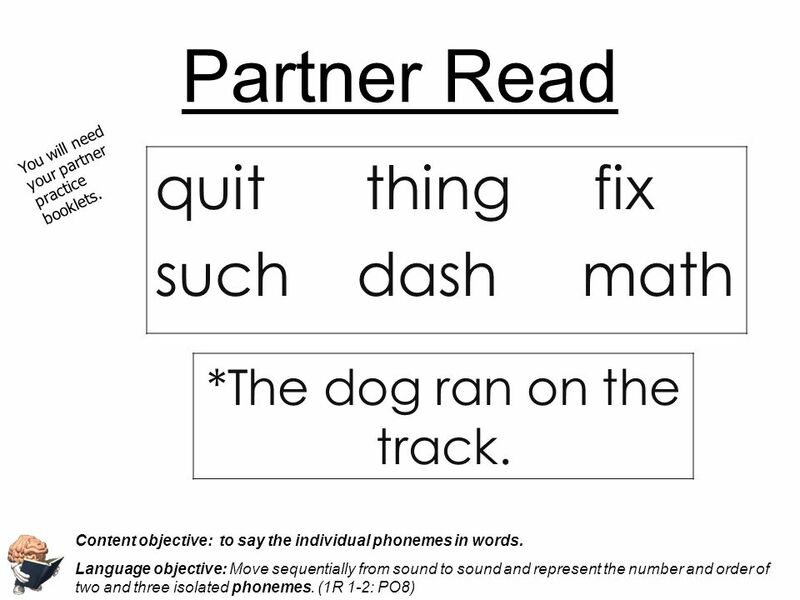 11 Partner Read quit thing fix such dash math You will need your partner practice booklets. 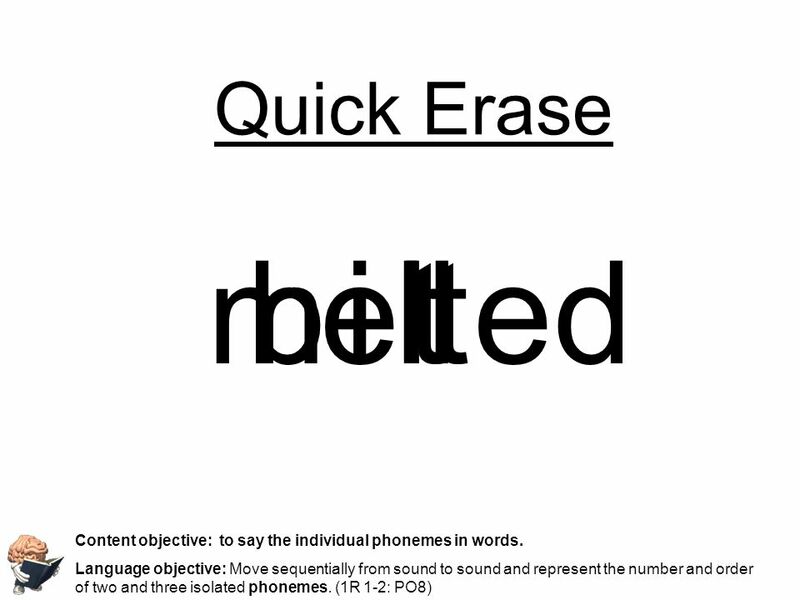 Content objective: to say the individual phonemes in words. 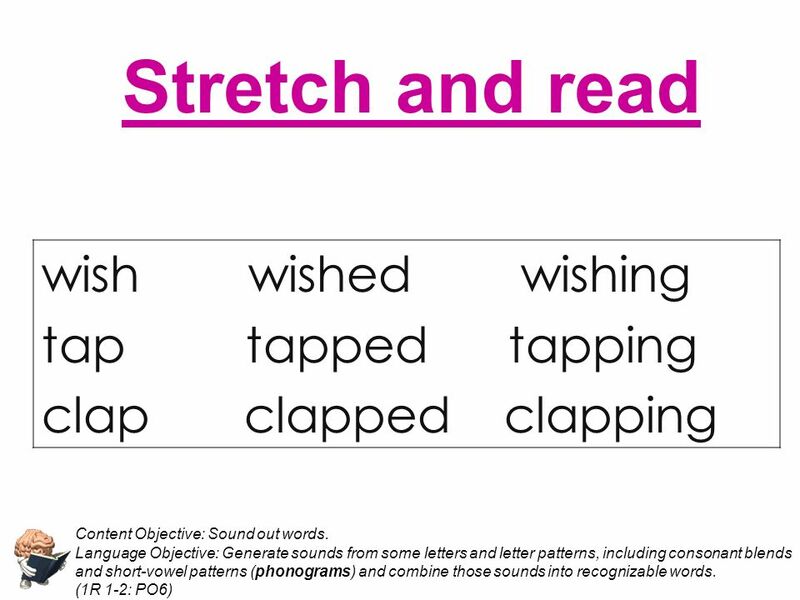 Language objective: Move sequentially from sound to sound and represent the number and order of two and three isolated phonemes. (1R 1-2: PO8) *The dog ran on the track. 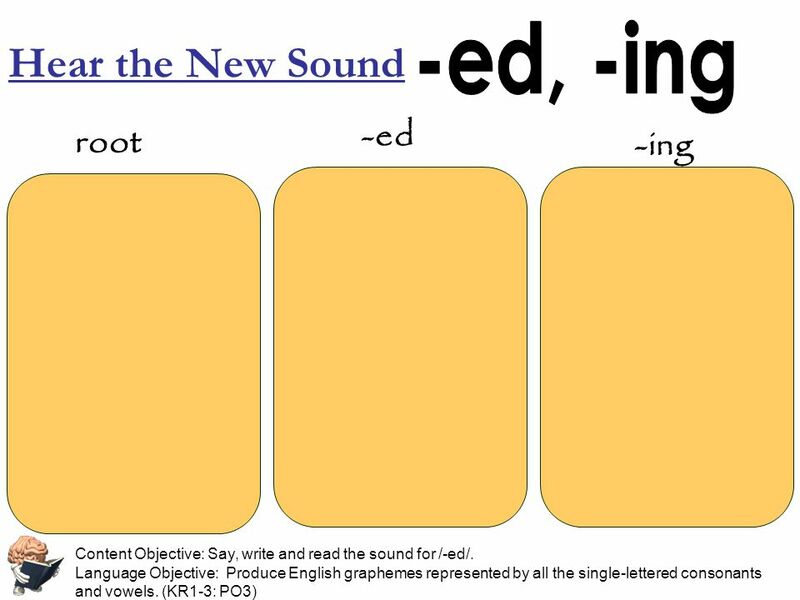 13 Hear the New Sound Content objective: to recognize beginning phonemes in words Language objective: Distinguish initial (e.g., s/a/t), medial (e.g., s/a/t), and final sounds (e.g., s/a/t) in single-syllable words. 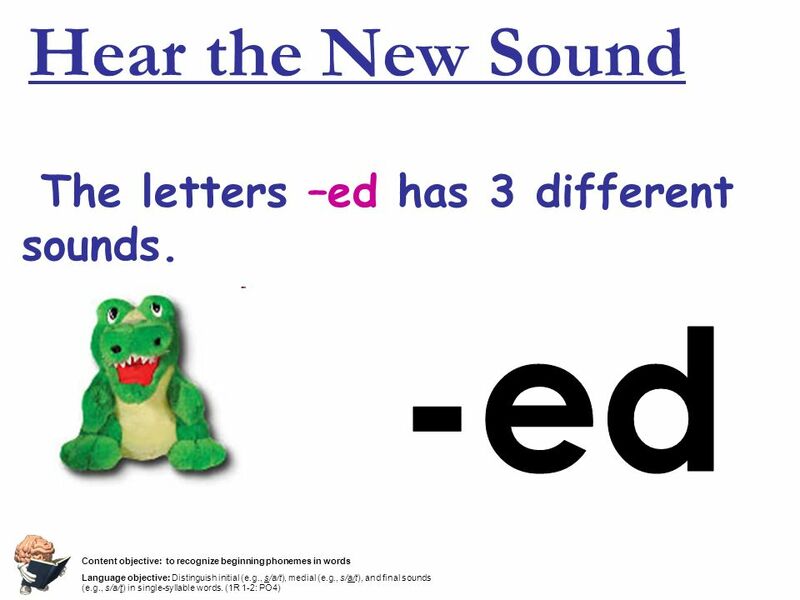 (1R 1-2: PO4) The letters –ed has 3 different sounds. 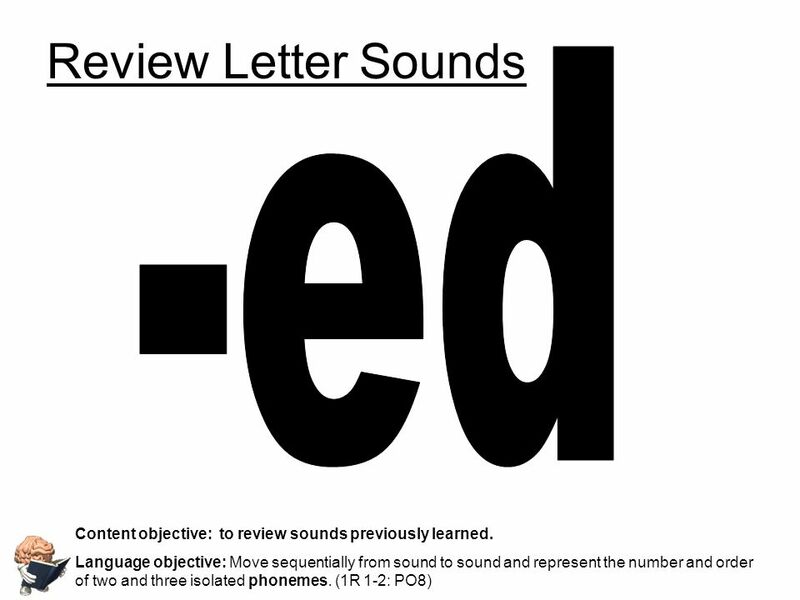 15 Content Objective: Say, write and read the sound for /-ed/. 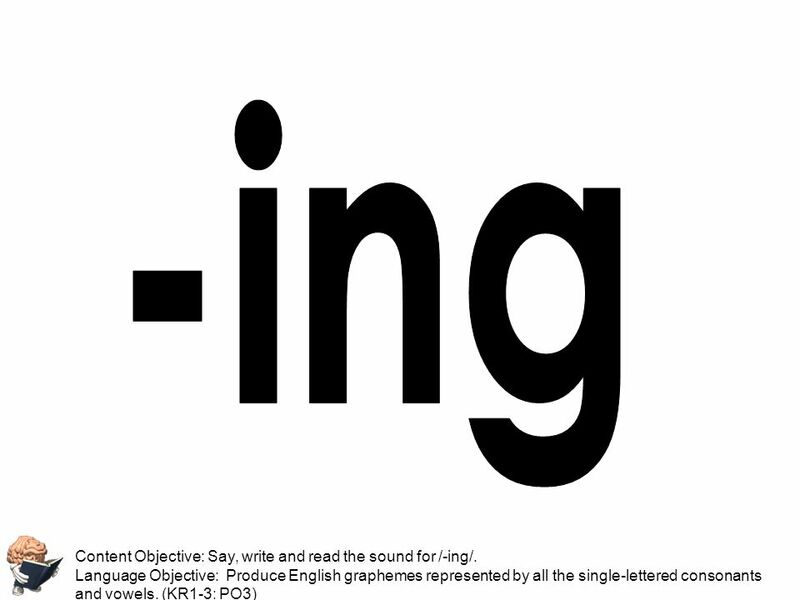 Language Objective: Produce English graphemes represented by all the single-lettered consonants and vowels. (KR1-3: PO3) At the end, ed says /d/, /t/, /ed/. Download ppt "To. 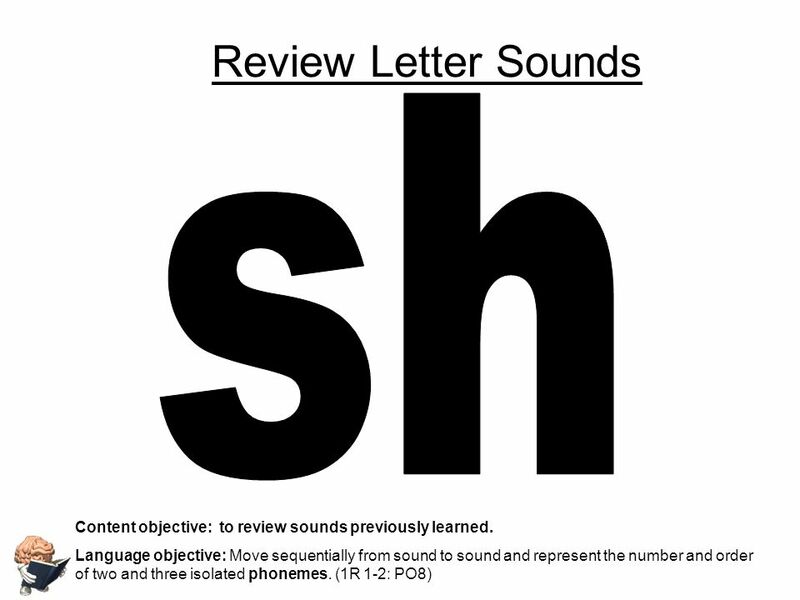 Today in Phonics we will… review some sounds we already know. stretch and read. change sounds in words to make new words. hear, say, read and write." Massachusetts Reading First-2006 Using Data to Inform Instruction Seven Hills Charter School January 17, 2006 Tracey Martineau – Massachusetts Reading. 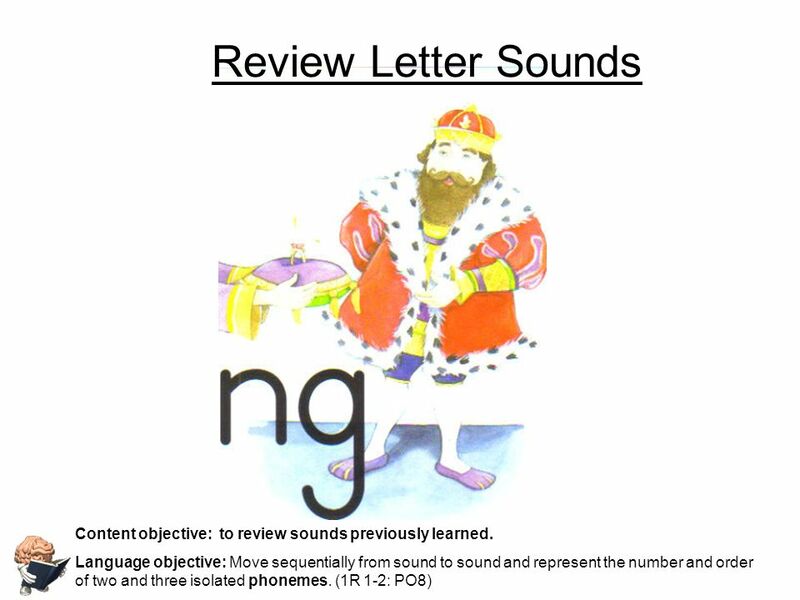 Phonic Phases linked to Letters and Sounds. Working within Phase 1.  Explores and experiments with sounds and words  Distinguishes between sounds in. 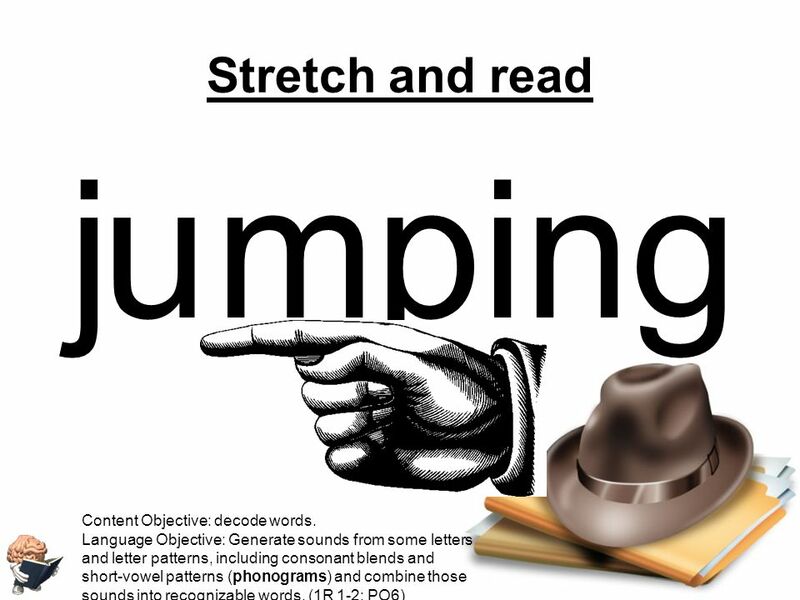 The Renewed Framework for Literacy Implementation through phonics Spring 2007. Phonics. 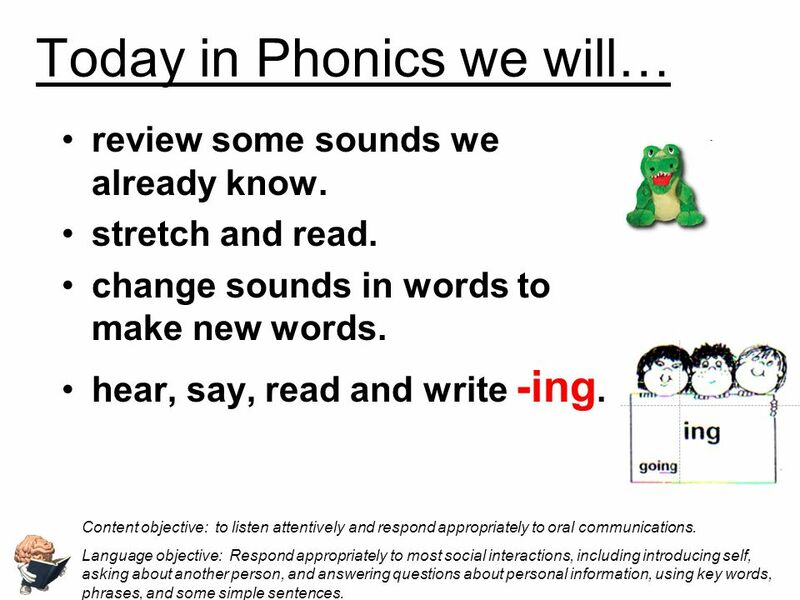 Main points What is Phonics? Why should we teach phonics in primary schools? 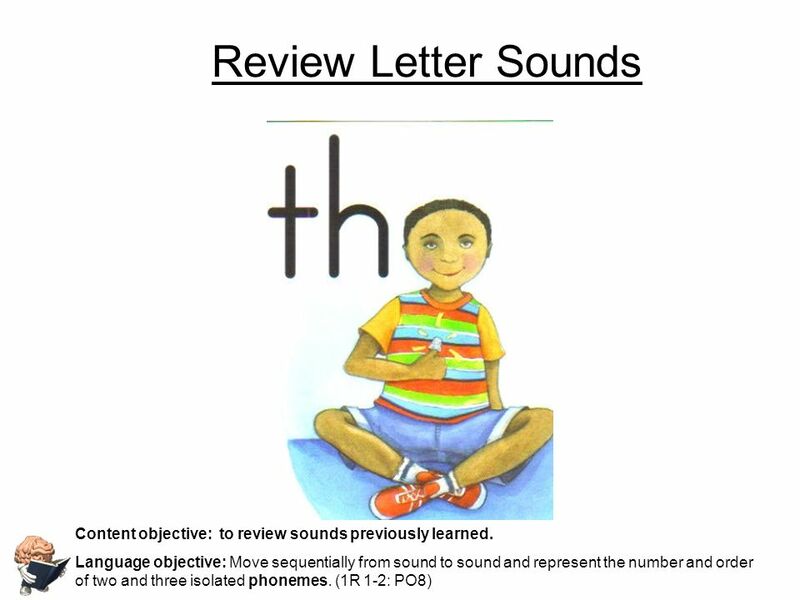 How can we teach letter sounds in class? PHONICS. 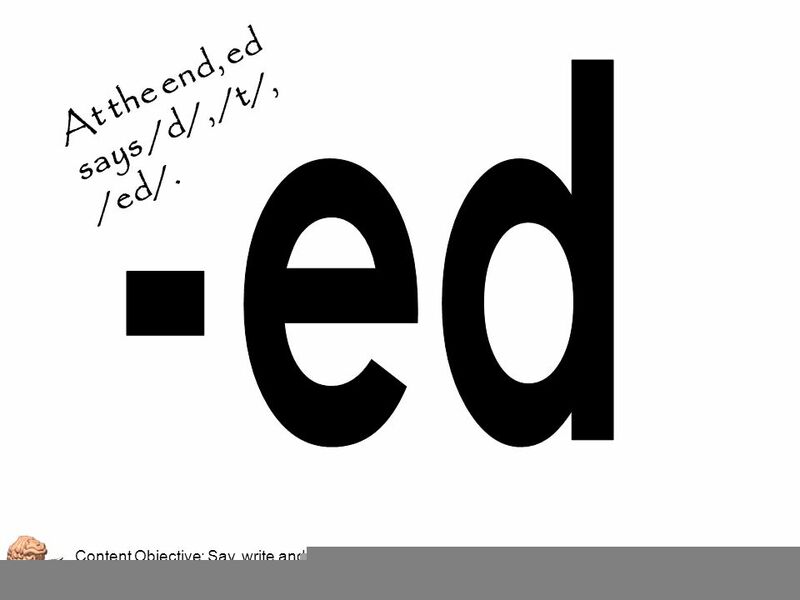  Phonics teaches the relationship between letters and letter combinations in written language and the sounds in spoken language. Presented by: English Program NYTC rev. 02/26/13 Overview. Recommendations for Morgan’s Instruction 1.Instruction for improving reading fluency 2.Instruction for improving word recognition, word decoding, and. Phonics Theme 1 Dragon Gets By Miss Udell. Blending handbasketstaff How many vowel sounds are in each word? How many syllables are in each word. To. Alphabet Chant Content objective: to recite a chant. 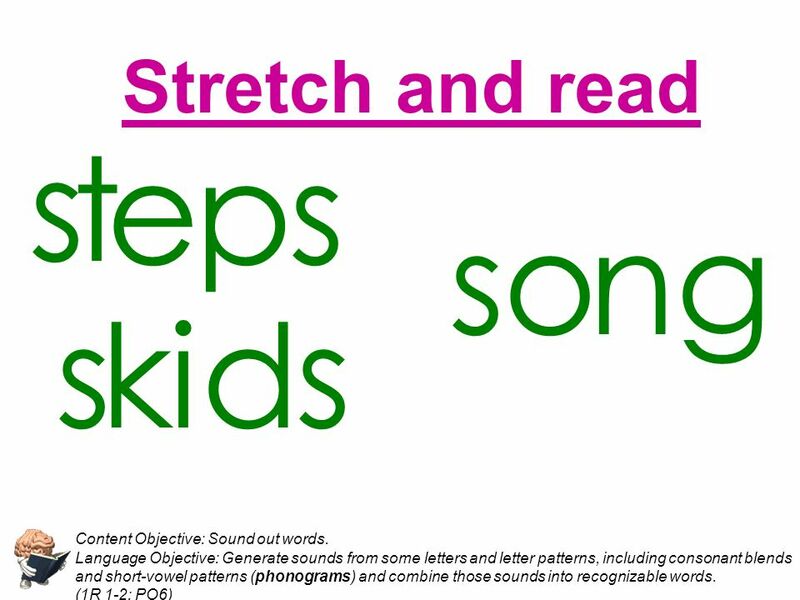 Language objective: Recite familiar rhymes and songs, with clear and audible phrasing and intonation. Kindergarten Skills (and Common Core Standards) Judy A. Kmak, Ed.D. January, 2012. Common Core Reading Standards Foundational Skills K-2 KindergartenFirst Grade CCSS.ELA-LITERACY.RF.K.1 Demonstrate understanding of the organization and. 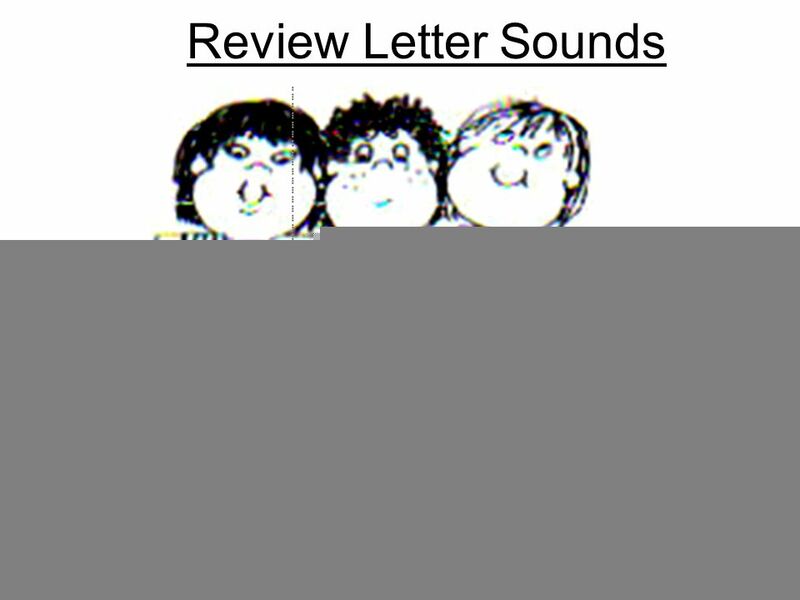 Jolly Phonics Learning Letter Sounds. 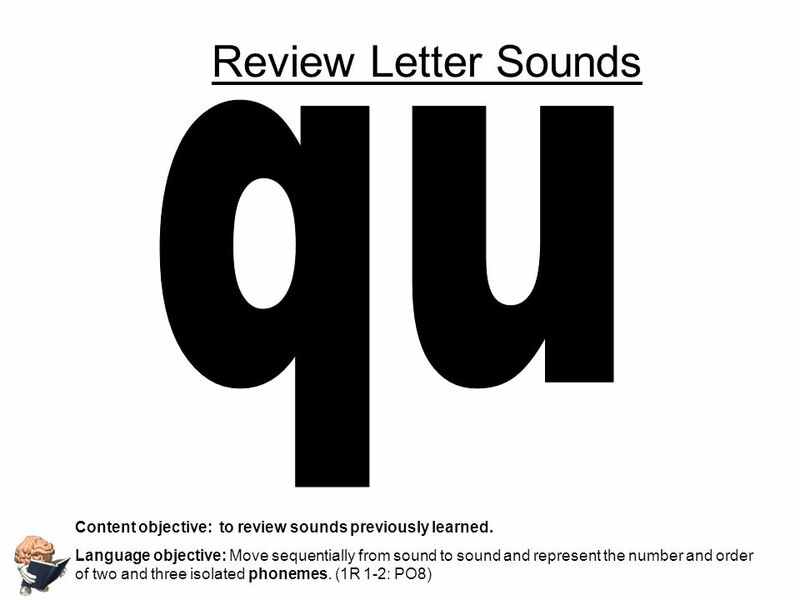 Introducing Letter Sounds In the UK - 42 sounds : to be covered in about 9 weeks : one new letter sound per day.